Enjoy having fun in the water all year round.. 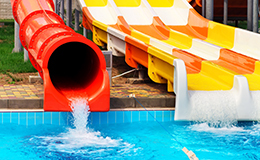 The many aquaparks in Prague will delight lovers of water recreation. 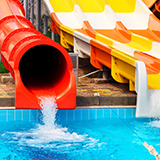 Spend a pleasant day in the surroundings where the entire family will be entertained: to lure you in aquaparks in prague offer attractions such as the water slides, whirlpools, massage benches, water jets, tanning salons, and last but not least, restaurants and refreshments.